Shontez Moore was born in New Jersey. She received a business certificate from Fayetteville Technical College in Business Banking and has almost 20 years of mortgage banking experience. In her spare time, Shontez enjoys reading, traveling, and water sports. She is also an avid Jeopardy watcher and would love to be a contestant one day and win big. "Eleaser and Shontez are an AMAZING duo! My family is grateful to have them on our team! :) Amazing Ladies!!!!!" "Eleaser Butler is a constant contact source - she responds night or day; anytime!! I was always sure to get a timely response from her." 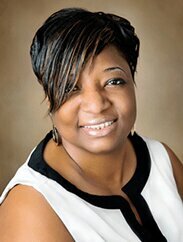 "I was extremely happy with my loan officer, Carmelita Grazer and my processor, Shontez Moore. They were on top of everything and kept me abreast of everything. They really worked for me and I am grateful"
"Shontez Moore was very responsive and helpful when we asked any questions"
"Eleaser and Shontez were exceptionally caring throughout the whole experience. I couldn’t have asked for a better team to assist me with the first purchase of my home. I am truly grateful. Thank you!" "Jennifer and Shontez were easy to reach when we had questions and were great to work with!" "Eleaser and Shontez were extremely helpful and available to answer any questions I had through the entire process."